One of the cities I missed visiting during my previous trips to Indonesia is Bogor. 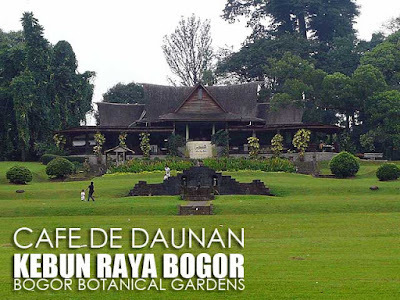 The main attraction of Bogor are the Kebun Raya Bogor or Bogor Botanical Gardens and the Presidential Palace which can be seen from the gardens. From the Gambir Station in Jakarta, I took a train to Bogor which takes about an hour and costs Rp11000. 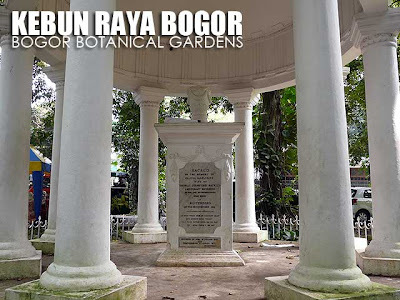 From the Bogor Train Station, which was built in 1881 (the good thing about Indonesia is that their old train stations have been preserved), I walked to the Tourist Information Center a few meters away to ask for a map and directions to the Bogor Botanical Gardens. Basically, from the entrance of the station, you make a right. You'll see signs pointing towards the information center. 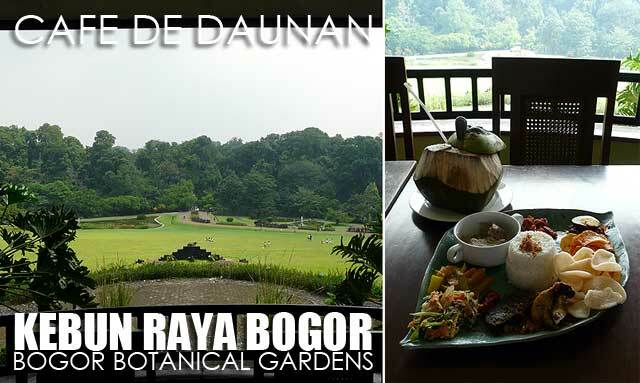 From the Tourist Information Center, it's a one-kilometer walk to the Kebun Raya Bogor. Along the way, you'll see a number of Dutch colonial buildings. There is only one open gate to the botanical gardens. Entrance fee is Rp9500. 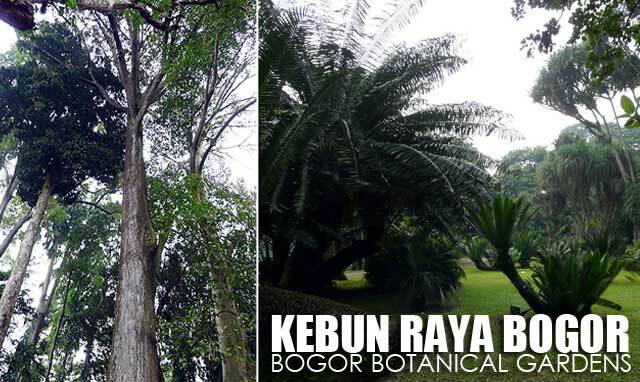 The 80-hectare garden opened in 1817 and today contains over 15,000 species of trees and plants. It continues its tradition as a major center for botanical research. Noteworthy in the collection are 400 types of exceptional palms and 3,000 varieties of orchids. Unless you have a private vehicle, be prepared for a lot of walking. And make sure to have lunch at Cafe de Daunan, a restaurant in the middle of the gardens. Its pleasant location up a hill offers a refreshing view of the plants and trees. I ordered a plate of Rijsttafel, which is a little of everything: rice served with various dishes of fried chicken (ayam goreng), marinated beef, sautéed bean cake, spicy egg and shrimp, traditional vegetable dishes, and spicy potato and peanuts. For drinks, I had Es Kelapa Muda, which is coconut juice with vanilla syrup! I walked towards the Orchid House where some really nice blooms were on display. But the bulk of their collection of Indonesian species is actually in the green houses behind the main display. 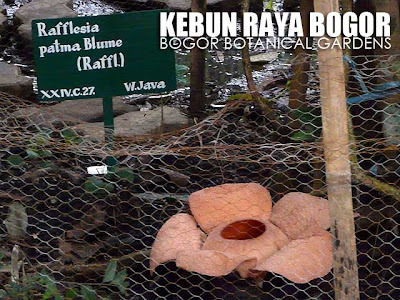 Lucky for me, a Rafflesia patma was in full bloom today in another section of the garden. The flower only lasts a few days and is rarely seen. It was such a big thing that they were installing signs that day pointing visitors to the rafflesia flower. 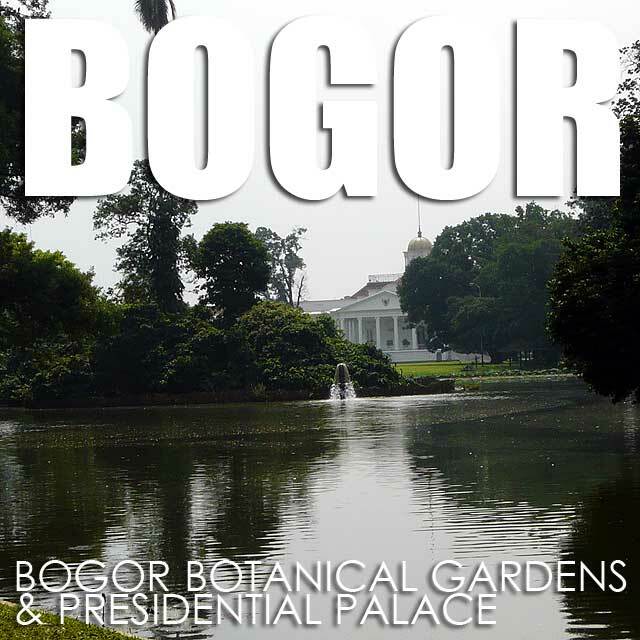 While you're there, also make sure to check out the Presidential Palace which can be seen from the lake of the gardens. It's where you take those "I've been to Bogor" photos. I didn't stay too long and took the train back to Jakarta before dark. Unfortunately, I was met by Jakarta's notorious traffic. And I learned that taxi meters in Jakarta are very sensitive to traffic if you know what I mean!